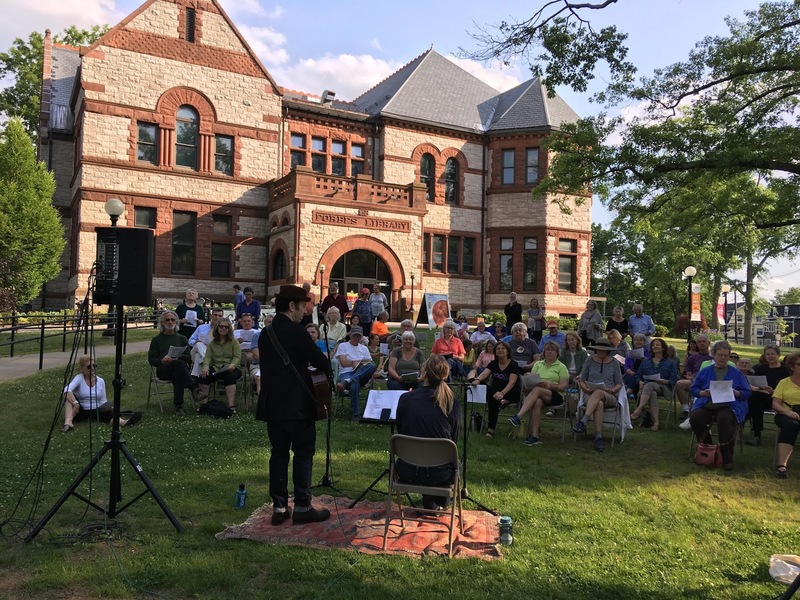 The next Group Sing is Friday, July 27, in the shade of the two remaining large Oaks on the front lawn of Forbes Library. Led by Jim Armenti, this group sing will take place under a full moon. We're back at the air-conditioned Northampton Senior Center on Wednesday August 1, 7:00-9:00pm, with Joe Blumenthal and the A-E-I-O-Ukes. Always free and open to the community.